“Tentative reports are emerging of divisions in the LTTE regarding the direction of the peace process. Milinda Moragoda, a key Sri Lankan government official involved in peace process issues, told us that the GSL had intercepted LTTE communications indicating that there was some dissonance toward LTTE spokesman Anton Balasingham’s management of the peace process.” the US Embassy Colombo informed Washington. The Colombo Telegraph found the relevant leaked cable from the WikiLeak database. The cable is classified as “SECRET” by the Deputy Chief of Mission W. Lewis Amselem and written by the US Ambassador Ashley Wills on October 1, 2002. Ambassador Wills wrote “While it was not clear, Moragoda continued, the feeling among some in the LTTE was that Balasingham was taking too soft a line towards the GSL.” “Meanwhile, other contacts report that regional tensions in the LTTE remain a factor, with leaders in the east (Karuna, Karikalan) more hard-line than most of the leadership in the north. That said, there are reports of hard-liners in the north, too: Ponnambalam told polchief that Colonel Banu, a high-level military official based at LTTE headquarters in Kilinochchi, was known to be quite apprehensive about the peace process and what he saw as its negative effect on the LTTE’s military preparedness.” the ambassador further wrote. 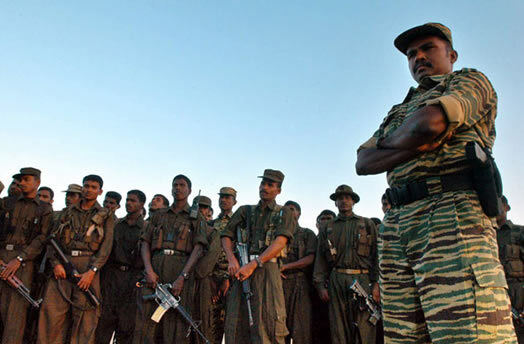 in recruiting; Divisions in the LTTE re peace process? Mission. Reasons 1.5 (b, d). on the LTTE's military preparedness. I bet it was Prabhakaran himself who was marginalizing the foreigner Balasingham. He most likely wanted someone who represented his brutal way of thinking at international meetings, and later apointed Thamilselvan. 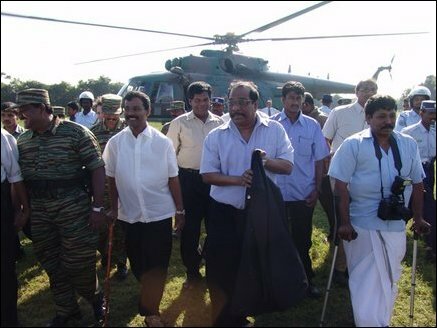 It is common knowledge that Prbhakaran was ruthless and crafty but did not know much about diplomacy. Old News and there is much more. I was in Vanni between October 2002 and March 2003. And in Touvh regularly with Ashley Wills and this clown who was in the intelligence and hard liner. VP was aware as messages was exchanged. SO US Embassy cannot talk much. lol. Ranil too was in the loop. Balasingams were no Tigers. Just Pussies. Damn! Does this mean they did not trust each other? obvious no party trust each other at peace talks after a war! as that happened in South Africa. For that a genuinely committed party with deep influence at both sides is a requirement. But who is the Maha Nayaka willing to step out for such new beginning? both LTTE and the Ranil’s UNP wanted to cheat the other. Eelam mandate was given 35 years ago in a free and fair elections of 1977, where TULF virtually won every seat they contested and only lost Kalkudah to Devanayagam by 77 votes. If the Sinhalese continues the Buddhist-Racist-Chauvinist-extremist JINGOIST attitude that is being demonstrated in every political platform and fora, which also included Ranil-Sajith UNP, the non violent turmoil will continue. The damages to the country will be worse than the losses incurred in the past 30 years, because the Tamil diaspora and the wrold Tamils are better organized and stronger than they were in July 1983, when I was burnt our and forced to leave. The High Tech and Sophistication of the younger generation 18-38 is frightening, and they are determined. Most of the kids under 30 are born in the West, inlike even our very own Tamil MP in Canada 29 year old Rathika Sitsaibesan who was 5 when she arrived in Canada. She is also Trilingual, able, competent and has a great future than the Yakko MP;s in Sri Lanka’s Parliament. I will post her inauguration speech in 3 languages and some of you all might understand 1 language with great difficulty. lol.